UPDATED – WASHINGTON (CNS) — Catholic Facebook pages whose sponsors reported had been suddenly removed late July 17 were restored just over 24 hours later. “All pages have now been restored. This incident was triggered accidentally by a spam detection tool. We sincerely apologize for the issue this has caused.” a Facebook spokesperson told Catholic News Service in an email sent late afternoon July 19. Among those with pages who were affected was the executive director of Relevant Radio, Father Francis J. Hoffman, affectionately known as “Father Rocky,” who has 3.95 million likes from Facebook fans around the world. 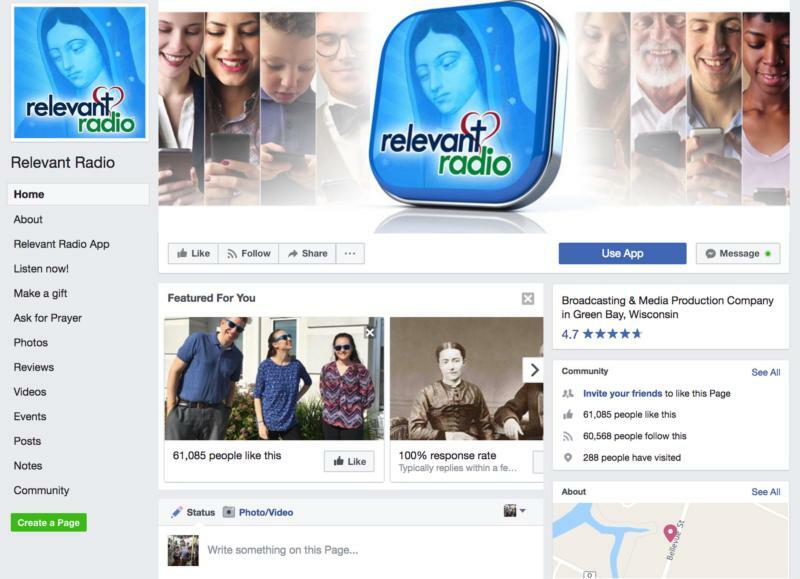 “This serves as a wake-up call and we urge all Relevant Radio listeners and Facebook followers to download the free Relevant Radio App as a secure and reliable resource for the daily Mass and inspirational programs,” Father Rocky stated in a news release. The Facebook page, Catholic and Proud, which has over 6 million followers, told CNS in a Facebook message that things appeared to be fine until the evening of July 17, when the page then became unpublished for the next day. According to Facebook, protocols aimed at taking down fake pages out of line with commercial spam policies allow for machine searches of posts that have similar comments indicating any abuse of policy. Many religious sites often produce similar comments to spam on their posts, which may cause their sites to go down. When Facebook realized the mistake, they were able to restore the pages. In May 2016, Gizmodo, a design, technology, and politics website, published a piece accusing Facebook of censoring conservative trending topics, specifically the Conservative Political Action Conference and other conservative leaders. Their sources, former Facebook “news curators,” even admitted that stories that were covered by conservative outlets could not be trending unless mainstream sites covered similar topics.